History shows the negative consequences society reaps when at-risk individuals lack hope and become disengaged from healthy communities. Sun Valley is located in one of Denver’s most impoverished areas and remains disengaged from the city surrounding it. With almost half of the neighborhood’s population under 17 years of age, it is the youth of Sun Valley who embody the neighborhood’s potential for growth and change. Yet, for the vast majority of students in Sun Valley, the chances of transcending their current circumstances remain slim. In addition to 82% of children under the age of 18 living in poverty, Sun Valley has also been deemed a “most likely location” for disengaged youth, who are neither employed nor attending school. Moreover, the neighborhood has one of the highest teen birth rates in the Denver metro area. In response to this overwhelming need, Hope In Our City created the Youth Leadership Program. Students from 6th grade to high school are learning like-skills like trust, courage and humility. They are grouped into age and gender. Each group has adult volunteers overseeing and facilitating the semester. Our goal is to create an opportunity for each young man and woman to grow and develop into leading where they are today, while also preparing them for a bright future. 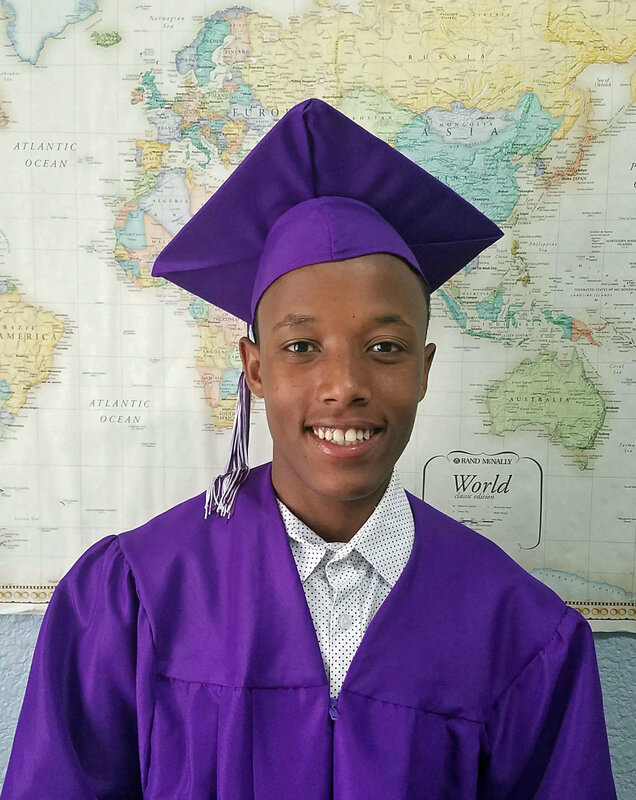 We recently awarded our first scholarship to a young man who 4 years arrived from Ethiopia. He went to South H.S. as a freshman with very little English at all. We have been able to walk through some of his difficulties, see him through to graduation, help him apply for college, and just this week buy books for classes at Community College of Denver! We are proud of him and excited to continue in his journey. Hope In Our City engages at-risk individuals by going into their community. Through relationships we assist them in developing the essential skills required to advance their personal lives and contribute to their communities. With a focus on refugee communities, Hope In Our City believes God is creating a world-wide Gospel movement by loving our neighbor. Thank you for praying for Hope In Our City and those we work with!